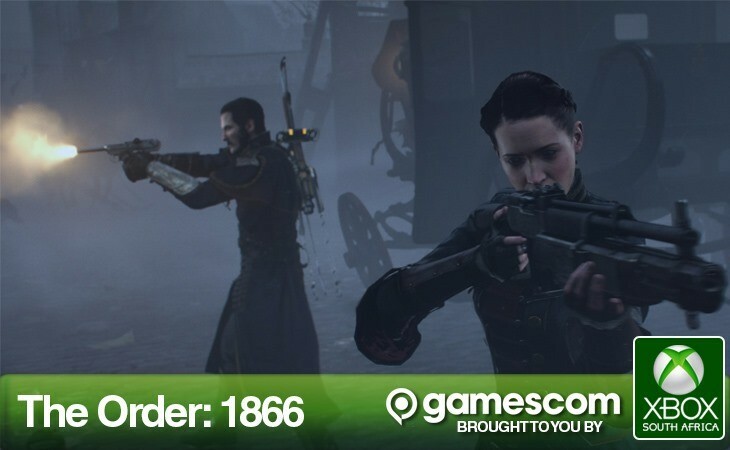 I’ve been looking quite forward to Ready at Dawn’s alternate history vampire shooter The Order since it was announced at E3. Their work on the PSP was beyond compare, and I’ve been looking QTE forward to finding out more information about the game. I barely did that. What I did find out about The Order – 1866 is more about the history behind the game, and the node ruling technology that powers it. Ready at Dawn CEO Ru Weerasuriya told us all about the work that’s gone in to dating the developer’s first original IP. Their philosophy is to build a world before they build a game – and they’ve spent a considerable amount of time and effort in creating a believable, living alternate history Neo Victorian London. In fact, they went to do research in current day London to see the city, and took 38 thousand photos, totalling 154Gb of data just to capture the finer details. Honestly though? We got to see very little of that. What we got to see instead, was a bit of the engine that powers it – the next generation in-house RAD engine 4 from the chaps at Ready at Dawn. It’s got me a little excited for the future of games. Where regular games largely use polygons painted with textures, The Order’s world will actually be built out of digital materials, trying as best to mimic the real world. In the real world, everything is actually made of stuff and the RAD engine does that. everything is built from base materials with the properties you’d expect from them. On top of that, there’s a new physics engine in it all that uses a soft-body physics engine that allows for plasticity and elasticity instead of the rigid one we’re so used to seeing in games. It makes objects within the world react for more realistically than they currently do. One bit, during the tech demo that made this most readily apparent was when Weerasuriya started taking pot-shots at a large metal boiler, it actually started denting and moulding from the impact, instead of being plastered by bullet-hole decals. Another was when Weerasuriya blew up a crate box with a grenade. It exploded and splintered off, but unlike the sort of thing we have today each remaining bit of wood that survived the explosion remained “alive” in the game world.